FAP NGO promote the sustainable management of the natural and wetland resources in Cameroon. The organization FAP was created in May 2001 by indigenes of the North West Region who have interest in the sustainable management of natural and wetland resources. The organization is registered with the government of Cameroon with reference number: 137/E31/067/SCAB in March 2004. 7. Communicate market channel to target communities. - Poor leadership within groups and communities. - Conflict over the use of wetland and other natural resources. - Fast depletion of natural resources due to unsustainable exploitation by rural communities. In order to address these problems, FAP uses gender-sensitive participatory approaches to build the capacities and empower poor community members technically. 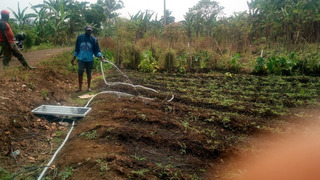 With this approach, FAP expects to achieve a more equitable access to and control over natural resources within the community and to reduce poverty and unemployment. 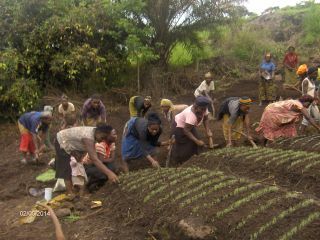 FAP focuses on the rural population of the Cameroon which constitutes 80% of the total population of the region. The reason for focusing on the rural population is because they depend on natural resources for most of their income generating activities (crop production, livestock rearing including beekeeping, exploitation of timber and non timber forest products). Because of their poor organization and poor management capacities, these resources are depleting thereby rendering them even poorer. Trained 60 men and women on tree nursery establishment and management in Ngoketunjia and Mezam Division of the North West Region. Trained the Muffuo II, Sabga and Ber Communities of the North West on watershed protection, tree planting and management of planted areas. Trained 145 craftsmen and some forest dependent users in Ngoketunjia and Mezam Divisions on modern beekeeping and supplied 98 Modern Bee hives to them. Supervised the construction of 220 modern bee hives using local materials in Ngoketunjia and Mezam Divisions. 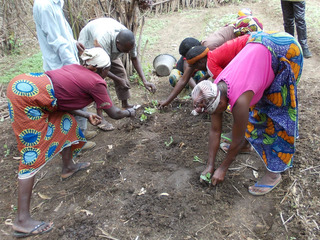 Trained 78 farmers on Agroforestry and improved farming practices in different communities of the North West Region. Executed fire fighting, patrolling and the replacement of 1000 eucalyptus trees with prunus in the Upper Shinga Community Forest. (Part of Kilum Mountain forest in Bui Division of the North West Region). Carry out socio-economic baseline survey in the Upper Shinga community forest. Surveyed and identified ecotourism attractions in Tubah and Ndop. Resource person on the presentation of Bee loving trees during the FAO training of Trainers on beekeeping. Facilitate the putting in place water dialogue platforms in three municipal councils in the North West Region. Facilitated the identification of some rice farming groups’ problems from production to marketing in Ngoketunjia Division. Facilitated workshops on Planning, monitoring and evaluation, Resources mobilization and drawing up of Action plan for 2012 with Water dialogue Platform in Ndu, Kumbo and Bafut Councils in the North West region in collaboration with SNV Highlands. Represent Cameroon in Indonesia on Human Right and Development Workshop. 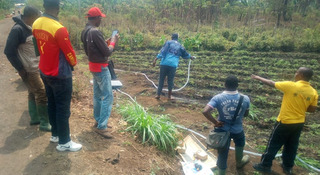 Identify and training of stakeholders in the Akofonguba watershed in Bafut on watershed management. Facilitate the formation of watershed platform and workshop on conflict resolution for watershed dialogue platform for Akofungunah watershed Bafut Mezam Division.